BlogHome » Blog » Blog » What is a Smart Home? ‘Smart house’ is a new industry buzz word that we’re starting to hear more and more – but what does it actually mean? 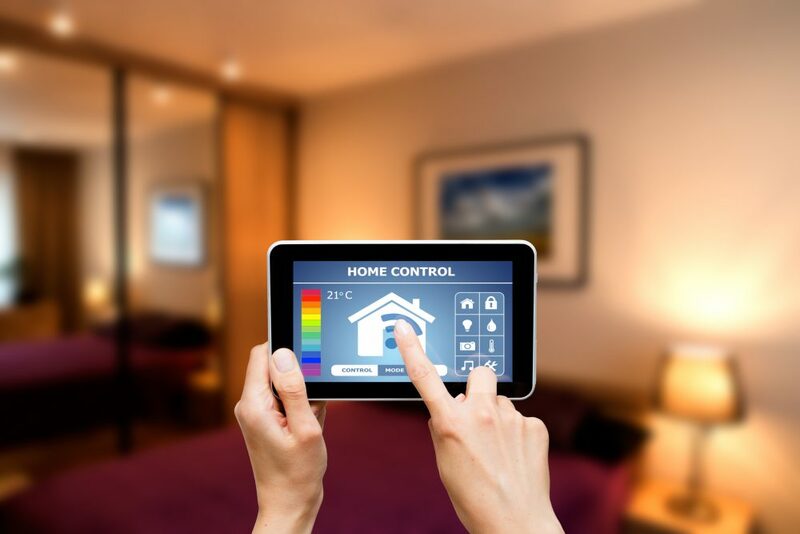 Put simply, a ‘smart home’, ‘connected home’ or ‘intelligent house’ is one that uses the latest electronic technologies to control or automate different aspects of the house. From light switches to sound systems and stove tops, smart homes allow you to control elements of your home at the press of a button. The future is here – but is it worth investing and converting your home? Keep reading to find out. Why Invest in Smart House Technology? Convenience: Smart homes will simplify complex tasks, sometimes even automating them completely so you don’t have to lift a finger! Security: State of the art technology allows you to monitor your home, even when you’re not there. This will allow you to secure your home from the inside, out. Whether it be a burglary or leaving the stove on – you won’t have to worry! Comfort: Light and climate systems can be automatically adjusted according to the time of day, temperature or your mood. Efficiency: Smart homes can control when things turn on and off, maximising energy efficiency and reducing waste. When it comes down to it, a good smart home is measured by how much it improves your home and how unobtrusively it achieves that. Your smart home system should not require any extra thought or consideration once it’s installed – it should fit seamlessly into the life of your household. To convert your home, you’ll need to use smart wiring or a purpose-built network to allow different elements of your house to communicate with a central control system. These days, many local electricians will be able to do the job for you. You can then choose which features to install. These include timers, switches and sensors so your smart home can know when you arrive home, if there’s anyone in a particular room, when to turn the temperature up or down and more! We recommend talking to a custom installer to help you plan and choose the right system for your needs. A good electrician will be able to offer the most efficient and cost-effective solution. Connecting your home does come at a price, however. Smaller and simpler systems will, obviously, cost less. But, the more you’re able to afford, the more elaborate and functional your system will be. We have the technology, so budget does tend to be the most limiting factor when it comes to installing smart home technology. If you’re located in Sydney, Jolt Electrical are your local smart home experts. We have a team of staff ready to discuss the best ways that smart home technology can meet the needs of your household. Contact us today on 0419 998 487 to start planning! Do You Need Electrical Rewiring?